The CEDEC® range has been in use since 1991 and has proved to remain durable and free draining. 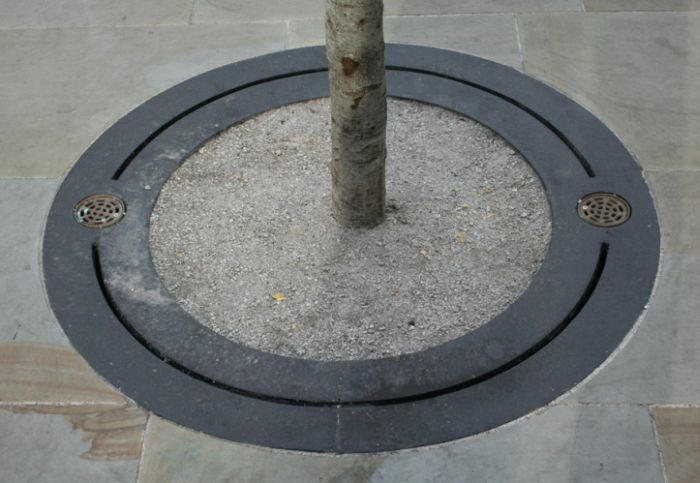 But, as it was designed to pack tightly rather than set, there are situations in areas of high usage and also when adjoining hard paving, where it is not ideal. We have now developed SuperCEDEC® for these situations. It has the same natural appearance but only a slight loose crumb on the surface. It is much firmer than CEDEC®, but equally permeable. 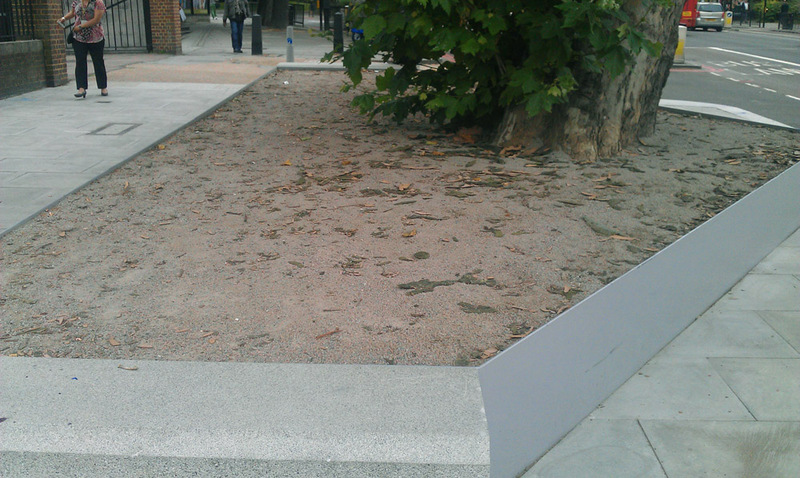 Although both CEDEC® and SuperCEDEC® are footpath gravels designed for pedestrian application, occasional use by emergency vehicles, cars, lorries or maintenance equipment will not cause any significant damage, providing the laying instructions have been adhered to. 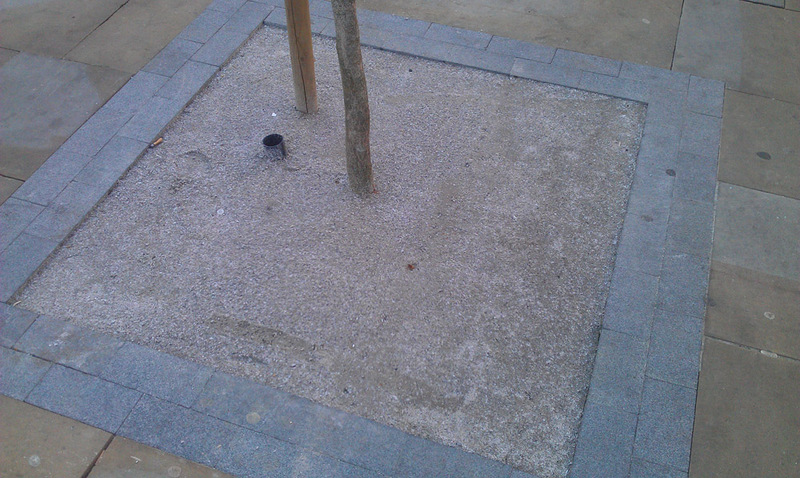 Both CEDEC® and SuperCEDEC® footpath gravels are comprised of granite and quartzite, which are chemically inert and durable and will not affect the pH value of the surrounding soil. This is important where newly planted trees or pH-sensitive plants are sited. As SuperCEDEC® has the base ingredients of CEDEC®, it retains the porosity of CEDEC® but the additives make it much firmer. 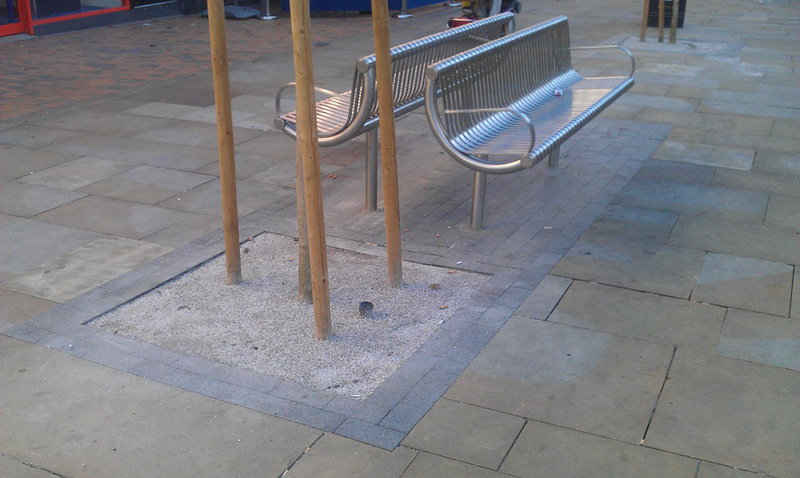 The permeable nature of SuperCEDEC® combined with its more stable structure make SuperCEDEC® ideally suited for use in urban tree-pits and footpaths. Like CEDEC®, in order to function effectively SuperCEDEC® needs to be used and rained upon. However, it will also function under cover if watered. 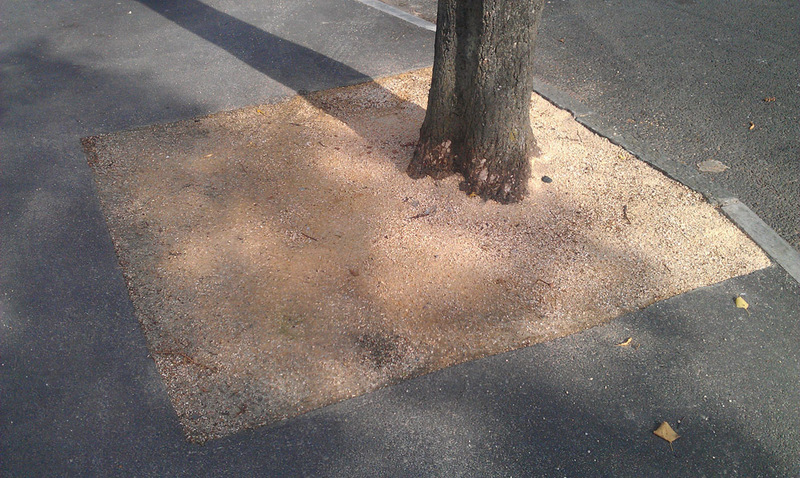 After compaction, coverage of SuperCEDEC®, either in tree pits or as a footpath gravel, is approximately 10m2 per tonne at 50mm thick, compaction being about 25%. So, in order to compact to 50mm, an initial non-compacted layer of 65mm is required. The following specification for laying SuperCEDEC® is based on standard best practice but may need to be varied according to the particular situation. The foundation layer should be laid to the same uniform crossfall as is required for the finished path. This layer should be firm enough to take the subsequent layers and compacting machinery without deformation. A geotextile may be used underneath the sub-base only if ground conditions so indicate. The thickness of the base layer will depend on the maximum vehicle weight likely to cross the SuperCEDEC®, but a compacted 150mm sub-base is usually appropriate for pedestrian and light vehicle use. 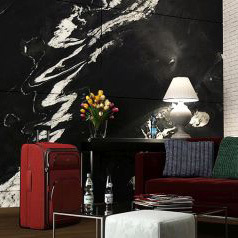 The sub-base should consist of a free draining layer of inert MOT Type 1 (for example, granite or quartzite). A non-vibratory roller or wacker-plate should be used, but be careful to avoid damage to irrigation systems if installed. If any irregularities are found in the base layer, these should be rectified with the base layer material and not the surface material. 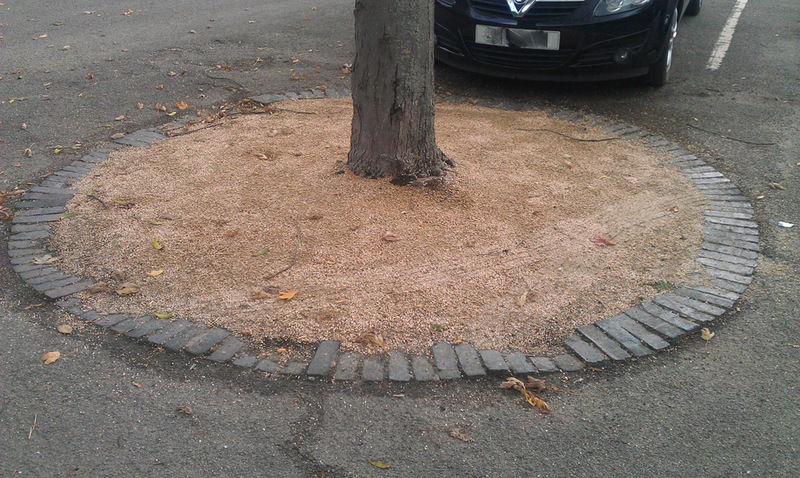 SuperCEDEC® footpath gravel ideally should be laid while slightly moist or almost dry and should not be laid during heavy rain, or if saturated. 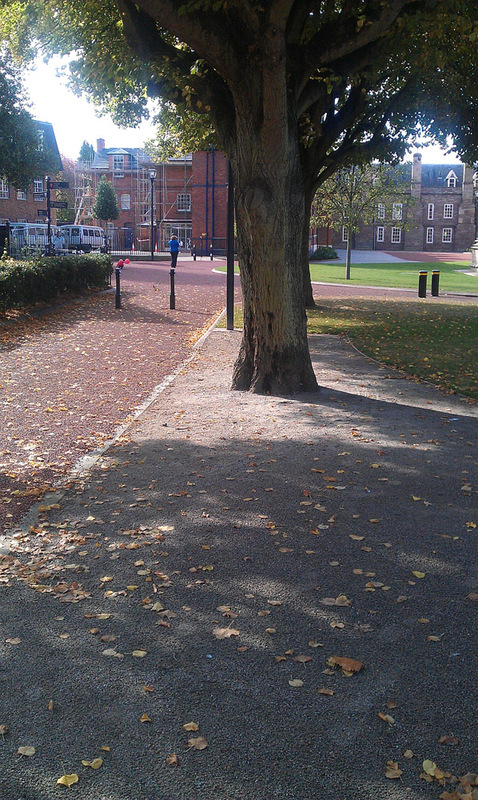 Under normal circumstances SuperCEDEC® should be laid to a thickness of 50mm after compaction. Initial compaction should be carried out BEFORE further watering takes place, by a non-vibratory roller that is not so heavy as to distort the surface, until the SuperCEDEC® is compacted and feels stable underfoot. In awkward or small spaces with poor access, a wacker-plate may be used. Following compaction, thorough saturation with water is required using a hose fitted with a rose sprayer or similar method, taking care to prevent any heavy disturbance of the top surface. Correct maintenance for the newly laid SuperCEDEC® is essential and any damage must be repaired promptly. If the new surface is allowed to dry out there is a possibility that the surface may tend to break up through lack of bonding. Generally not required, but occasionally, re-watering and recompacting may be necessary until the surface is entirely consolidated. Light brushing with a soft broom may be carried out if necessary. 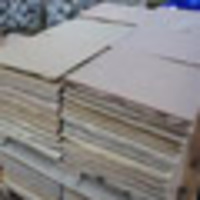 Any settlement should made good using additional SuperCEDEC® and laid as described in previous tab. NEVER COMPACT A DRY SURFACE! 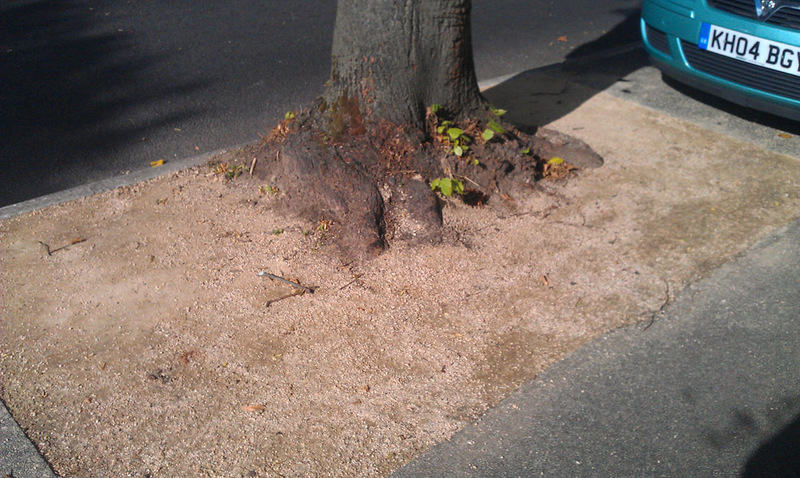 A mature surface will require a different regime of maintenance to a newly laid one. Collect large litter with a spiked litter collector. Raking with a spring box rake will pick up small pieces of litter, cigarette ends, chewing gum, twigs, leaves etc. DO NOT USE A VACUUM SYSTEM! A “Leaf Blower” on low power may also be used, except under very dry conditions. SuperCEDEC® is a graded aggregate, so wacker-plates or non-vibratory rollers must be used. Do NOT use a vibratory roller with the vibrate function turned on as this will deform the surface layer. Any area of SuperCEDEC® must always be constrained by a raised surround. 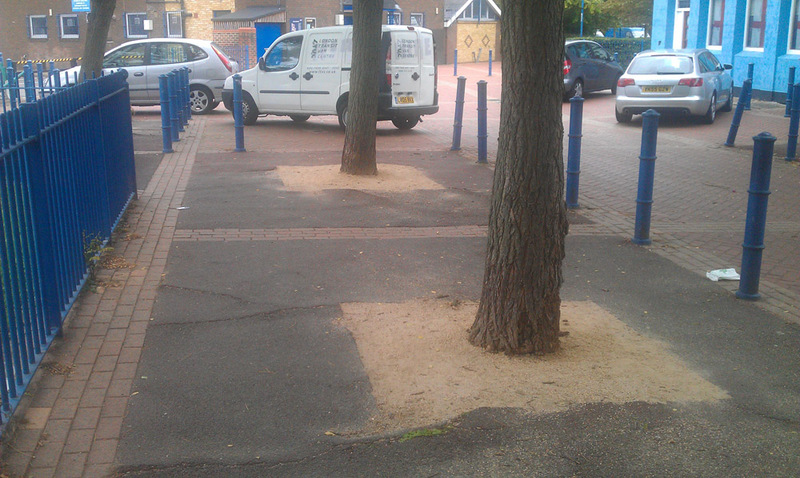 As an example, where used adjacent to paving always leave the surface of the SuperCEDEC® at a slightly lower level than the paving to minimise migration of the loose chips onto the paving. 5 to 10mm is normally sufficient. As with any loose material, SuperCEDEC® may be picked up to some degree by shoes, especially in damp conditions. 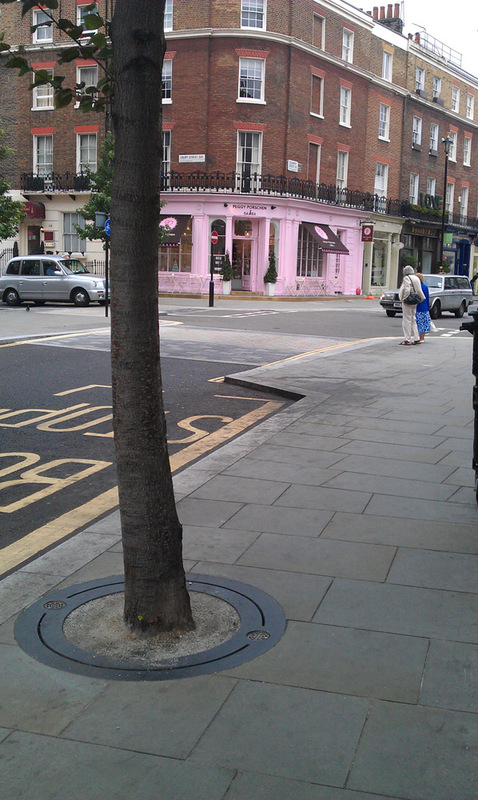 If being used near a building entrance, ensure that adequate foot cleaning or transitional areas are provided. SuperCEDEC® should not normally be laid on a slope greater than 1:15. If necessary, steps should be used to reduce the steepness of the slope. On slopes of between 1:15 and 1:20, some migration of the SuperCEDEC® may be evident with use over time.